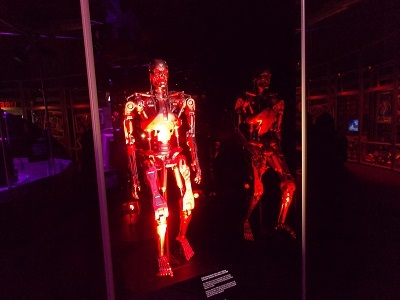 The Science Museum’s new Robots exhibition explores the human obsession to recreate ourselves in different forms and tells the remarkable 500-year story of robots. 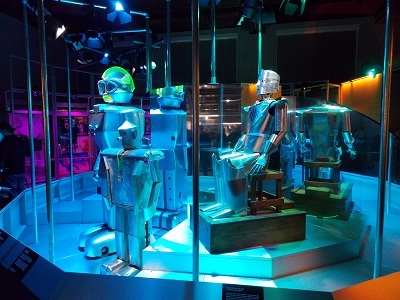 The exhibition features a unique collection of over 100 robots, from a 16th-century mechanical monk to robots from science fiction and modern-day research labs. The exhibition provides some cultural, historical and technological context to provides some answers to why robots have encapsulated some of our dreams and fears of the future. Although the word ‘robot’ was first used in 1920, automated machines go back many centuries. 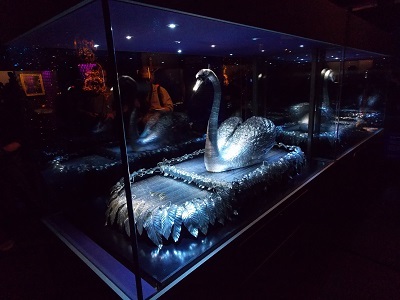 The exhibition features an articulated iron manikin from the 1500s and the remarkable Silver Swan, this life-size clockwork automaton is the only one of its kind in the world. 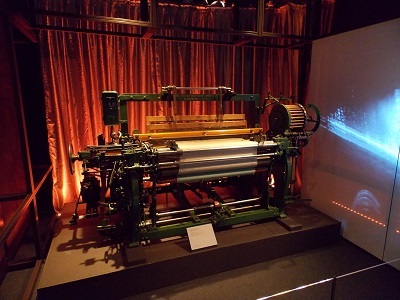 Whilst many of these machines were for entertainment, during the Industrial Revolution, automation was an important aspect of the move away from craft based cottage industries. It is within the 20th century that the modern idea of robots really enters popular culture, films like Metropolis in 1927, and the science fiction films of the 1950s and 60s offered representations of humanoid type robots. 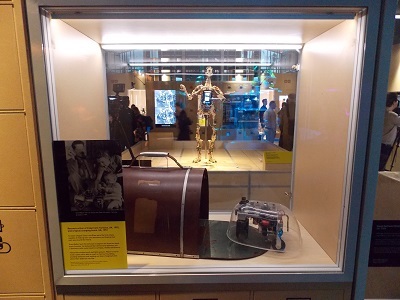 The exhibition features a number of robots from this period including Cygan, a 2.4m tall robot, Eric built in 1928 was Britain’s first robot and George, another British robot from 1949. These robots were quite basic and had little scientific value, however from the 1950s, researchers began to seriously construct robots that could interact with the world around them. This was developed further in the late 20th century with a series of robots who could mimic many human functions. Bipedal Walker built by David Buckley and fellow amateur enthusiasts to move forward on two legs can be compared with far more sophisticated Honda : P2 prototype. In the 21st century, the search for multifunctional robots has become a more serious undertaking with many experts predicting that robots will take on an important role caring for an ageing human population. 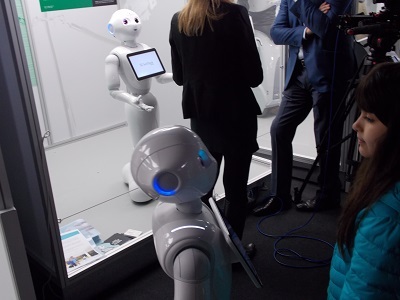 Many of the robots on display in this section are interactive with humans, machines like Pepper, Inhka, Rosa and Reem Service Robot will provide services, whilst RoboThespian provides entertainment with an array of acting skills. 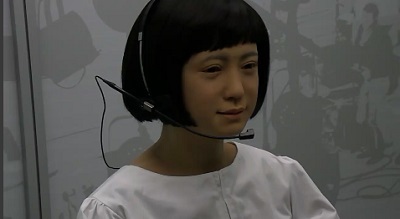 One of the most interesting robots on the exhibition is Kodomoroid which was made in 2014 and is one of the most realistic androids in the world. If most of the robots have useful functions for human beings, the robot displayed that was used in the film Terminator Salvation reminds us that the fear of robots is still as strong as ever. 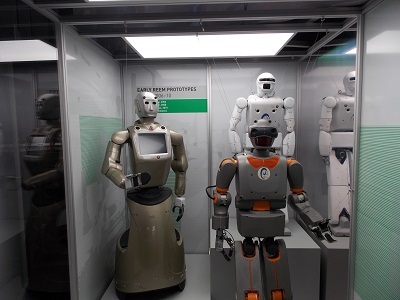 This intriguing and entertaining exhibition provides plenty of evidence that despite technological advances, robots hold a particular fascination for many people. The various exhibits will amaze, amuse and offer the opportunity to look back at remarkable automated machines from the past and offer a glimpse into the future. 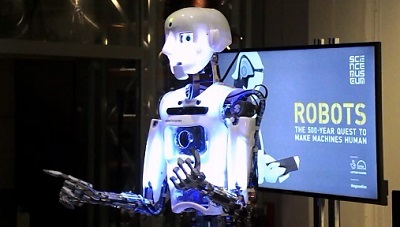 The Robots exhibition will open at the Science Museum on 8 February 2017 and run until 3 September 2017. By londonvisitors2014 in Exhibitions on February 7, 2017 .